This plaid kind of reminds me of the upholstery in my father’s VW camper van that he had when I was a kid. That fact, however, means absolutely nothing to the rest of you. So, I will describe it as a dark blue and yellow plaid. It does up with buttons. It’s official name is still going to be Van Seat Plaid though, because Sam has far too many plaid shirts at this point for me not to be making up random names for them. In The Born-Again Identity (7x17), Sam is wearing this shirt at the beginning of the episode when he is running around town sleep deprived and crazy. 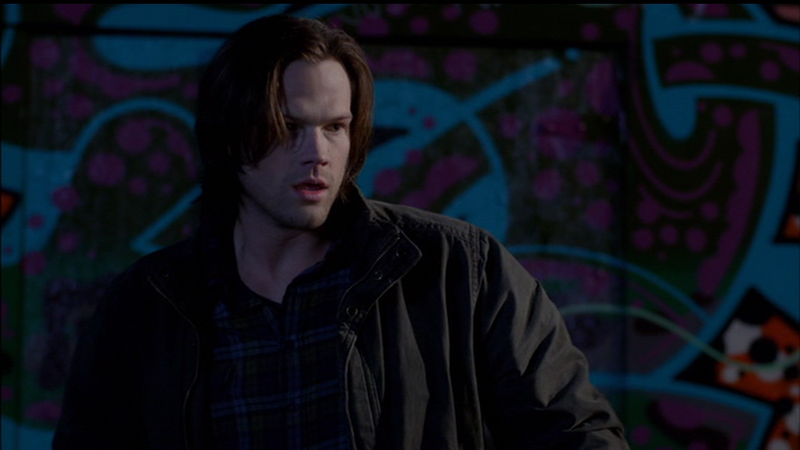 In Heartache (8x03), Sam wears this shirt when he and Dean go back to confront Eleanor Holmes with what they know. He keeps it on until the end of the episode. 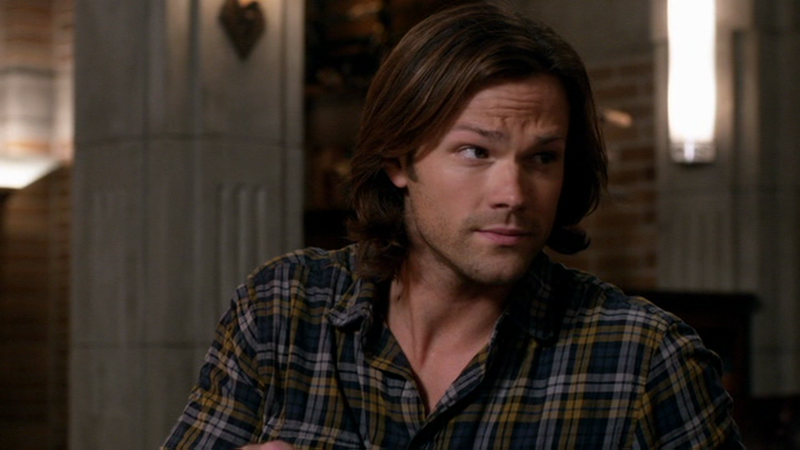 In Trial and Error (8x14), Sam wears this shirt when he and Dean are in the bunker, and when they go to see Kevin. In Sacrifice (8x23), Sam wears this shirt when they call Crowley. In Dog Dean Afternoon (9x05), Sam wears this shirt from when he makes the potion that allows Dean to talk to animals, until the villain is slain – then he changes, presumably, because he got blood on his collar. Fate: Sam gets hit by a car while wearing this shirt.